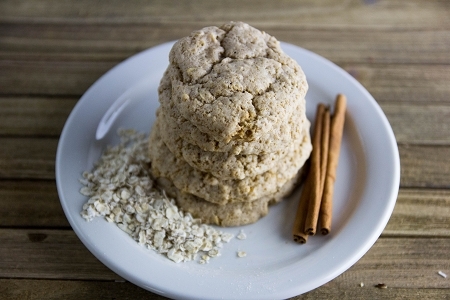 Our Oatmeal Cookie mixes are loaded with oats and cinnamon, nutmeg and brown sugar flavor. It's so tasty, you'll be surprised they're sugar free and low sodium. Preparation is easy—just mix with butter, eggs and water. Whole Oats, Maltodextrin, Wheat Flour, Erythritol, Cinnamon, Baking Soda, Monocalcium Phosphate, Calcium Acid Pyrophosphate, Natural Vanilla, Xanthan Gum, Salt, Brown Sugar Flavor, Sucralose, Nutmeg, Caramel Color.